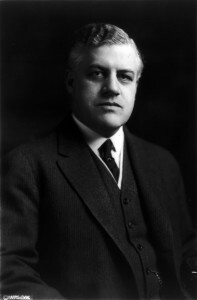 As U.S. attorney general, Palmer, on January 2, 1920, sent federal agents to round up suspected Communist sympathizers in massive raids carried out simultaneously in 33 cities. Six thousand persons, including American citizens and recent immigrants, were arrested. Palmer’s raids created the nation’s first “Red Scare,” or anti Communist witch hunt. Although 556 of those arrested were deported, most convictions arising from the raids were overturned and Palmer was ultimately discredited. His young protégé, J. Edgar Hoover, not only escaped censure, but went on to lead the agency that became the FBI.